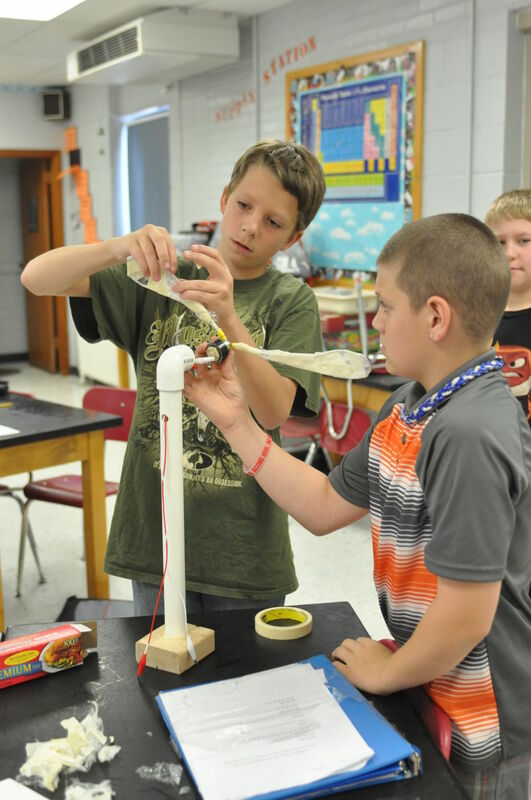 Over the past year, our team has had the opportunity to work with teachers from Beatrice Middle School and Lourdes Central Catholic School in Nebraska City on a new pilot project using wind energy systems as a vehicle for teaching core, NGSS-based STEM concepts and decision-making about socio-scientific issues. The project involves development of a 2-week mini-unit grounded in ongoing, real-world discussions about the recently-proposed Hallam Wind farm in SE Nebraska. The mini-unit involves investigations of wind turbine design and power production, as well as analysis of stakeholder perspectives and policy issues. The curriculum was implemented in three 6th-grade classrooms this month, including those highlighted in this week’s story by the Beatrice Daily Sun. Research associated with this project, led up by SNR masters student McKinzie Peterson and conducted in collaboration with Prof. Dr. Jan Christoph Schubert from the Friedrich-Alexander-Universität Erlangen-Nürnberg, will investigate students’ problem-framing and science-informed decision-making about wind energy production in Nebraska. Thanks also to Chad Johnson at Nebraska Public Power District for collaborating on this project. This entry was posted in Research, Science Literacy and tagged energy, NGSS, School of Natural Resources, science literacy on May 21, 2016 by corytforbes.